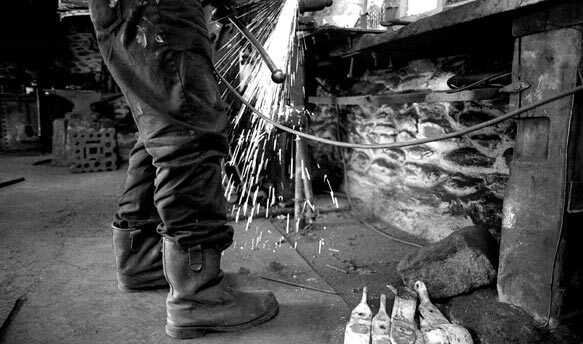 Richard Hingley is a blacksmith based in the small, secluded village of Mawnan Smith. The village name derives from the fact that there were four working Smithies there up until the early 20th Century. In 1994 however, the village was left without a single one and locals began fundraising to open a craft centre to house a blacksmith, a woodworker and a potter. Later that year Richard filled their post and has since been working in the sleepy Cornish village for 16 years. He has become a valued member of their community and close friend of the locals. 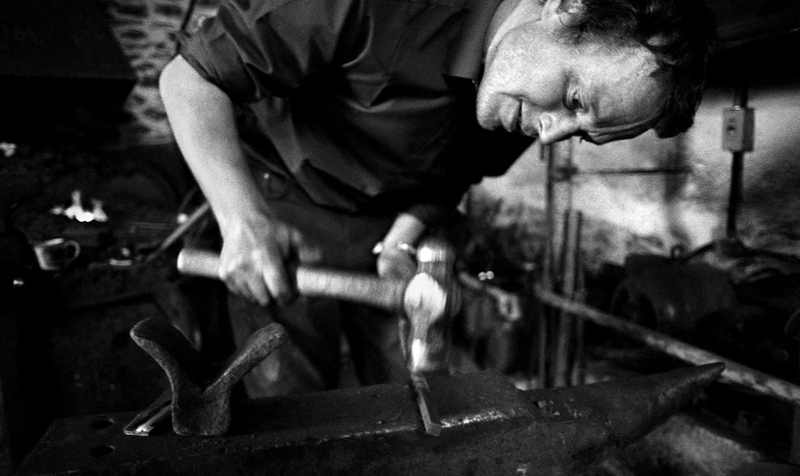 Originally from Northern England, Richard moved to Cornwall to peruse his dream of becoming a blacksmith. However, it’s not as romantic as it may seem. Despite supportive villagers and being surrounded by a friendly community, the position of village blacksmith has its downfalls. Little passing trade in the village makes it difficult to find new customers and he often relies on being commissioned by locals for hanging baskets and fire pokers for the traditional houses in the area. The passion Richard has for his trade is extraordinary and his optimism admirable. 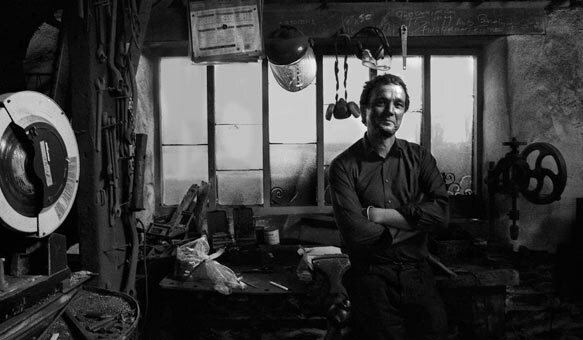 Richard vows to continue working as Mawnan Smith’s blacksmith and is adamant he will fight against any difficulties he stumbles across in order to keep the ‘Old Smithies Workshop’ open, not only from a personal point of view but also for the tradition of the village. After all, Mawnan Smith wouldn’t have earned its name without hardworking Smithies, like Richard. 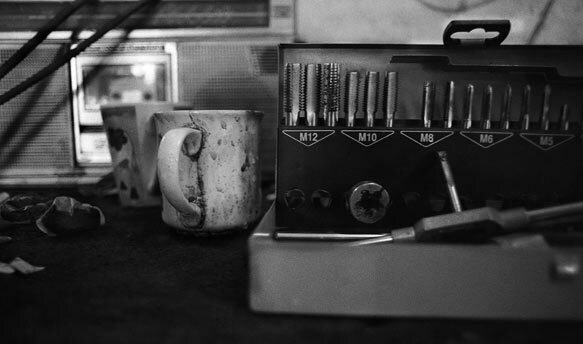 These images were shot on a Pentax K1000 with HP5+.